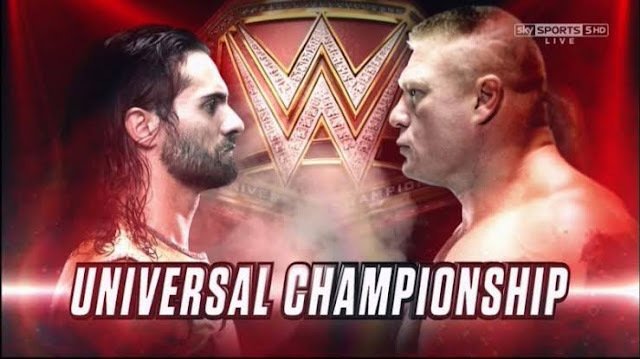 WWE latest update : Seth Rollins vs Brock Lesnar for Universal championship match winner revealed at wrestlemania 35 !! Seth Rollins vs Brock Lesnar match winner revealed. After defeating 29 other Superstars to be victorious in the 2019 Men’s Royal Rumble Match, Seth Rollins had challenged Brock Lesnar for the Universal championship match at WrestleMania 35, WWE company's COO Triple H told Seth Rollins to choose which World Champion he wants to face at wrestlemania 35. However, when Seth Rollins left the ring to begin a brawl with Brock Lesnar later that evening, the universal champion Brock Lesnar hit him with six F-5s, however, Seth Rollins was unable to stand up after getting striked with 5 f-5s but he again asked Brock Lesnar for more! And at last the beast again hit a 6th f-5. WWE universe also had shown their interest in this fued by booing Brock Lesnar. So now let us tell you that this match is now officially conformed by the WWE officials. And now we gonna see the architect Seth Rollins vs the beast Brock Lesnar for the Universal championship at the Grandest stage of all time “wrestlemania”. Also let us make sure that this match also have chances to take place in the main event. Now the biggest question is that, who gonna win the universal championship at wrestlemania 35, will their be a new universal champion Seth Rollins or Brock Lesnar will again retain his universal title at wrestlemania 35? So, readers let us make you sure that some updates are predicting that their will a new universal champion Seth Rollins. This time Brock Lesnar will not be able to hold the title for long. Now let us also tell you that this match could also be a triple threat match! Some major updates are conforming that Brawn Strowman could be added in this match at just last moment. But no doubt Brock Lesnar is currently the hardest Superstar to defeat. But still here some updates are predicting a new universal champion at wrestlemania 35. However we can't say this news as a perfect news. As WWE also can change their at last moment. So readers this is all about in this update. Let us know in the comment box below that which superstar you wanna see as a new universal champion at wrestlemania 35?